GSLV MKIII, the future launch vehicle of ISRO, capable of launching 4-ton class spacecraft into Geosynchronous Transfer Orbit (GTO) is in the advanced stage of realisation. It consists of two solid strap-on (S200) motors, one earth storable liquid core stage (L110) and the indigenously developed C25 cryogenic stage. The C25 stage is powered by CE20 cryogenic engine. The first CE20 flight engine acceptance test was successfully conducted for a duration of 25 seconds in high altitude simulation test facility during December 2016. This flight acceptance test is an important milestone for ISRO as it could successfully cross the major engine development endeavors in the maiden attempt. This engine was conceived, configured, designed, fabricated and developed by Liquid Propulsion Systems Centre (LPSC). LPSC is the centre for design, development and realisation of liquid propulsion stages for ISRO's Launch Vehicles. Development of fluid control valves, transducers, propellant management devices for vacuum conditions and other key components of liquid propulsion systems are also under the purview of LPSC. To test the Engine at flight identical conditions, High Altitude Test (HAT) facility was established at IPRC, Mahendragiri. This facility allows testing of the CE20 engine at its full area ratio in vacuum condition which otherwise would experience flow separation at sea level ambient pressures. The successful engine testing in the high altitude conditions was preceded by multiple tests on two engines with sea level nozzle divergent (area ratio 10). The development test conducted on these engines provided confidence in their design. The design of the flight nozzle was also validated in the medium duration High Altitude Test programme. 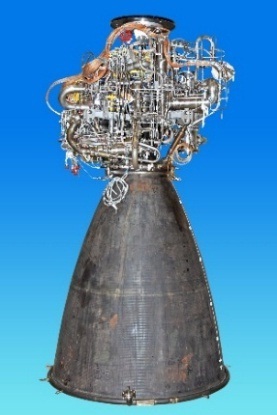 The Engine High Altitude Test Programme contained a series of high altitude tests (5 hot tests with a cumulative duration of 41.20 sec) to demonstrate the vacuum ignition, validate the nozzle performance, propellant flow build up characteristics, chill down performance and to demonstrate the ignition margins. All the test objectives were successfully achieved in this test programme. The testing of engine in HAT facility has also helped in finalising the engine start and shut down sequence for flight. 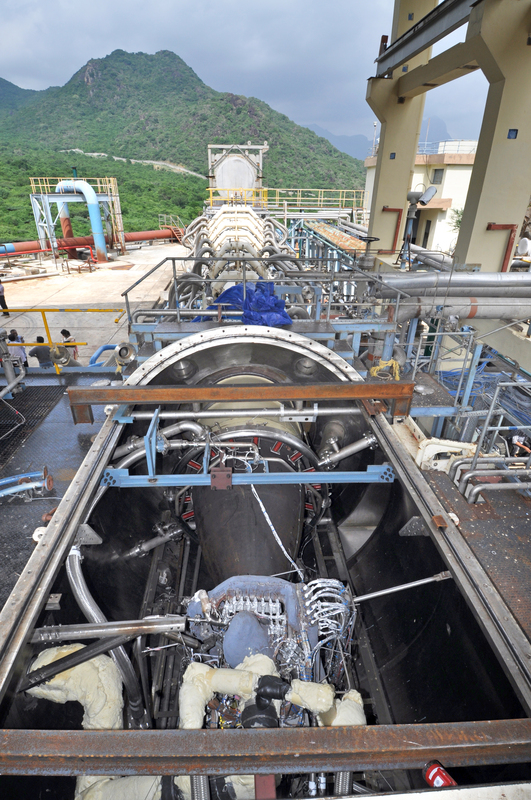 Summing up, the test programme has imparted good confidence on the performance and functioning of CE20 Engine in GSLV MKIII (LVM3)-D1 mission. The realisation of flight stage for the GSLV MKIII (LVM3)-D1 mission is in progress and the first mission is expected by early 2017.